Well, this is the first time that I chose to read an older Fantasy novel and enjoyed it a lot. The world-building and characters truly drew me further into this novel and just left me wanting more every time I completed a chapter. 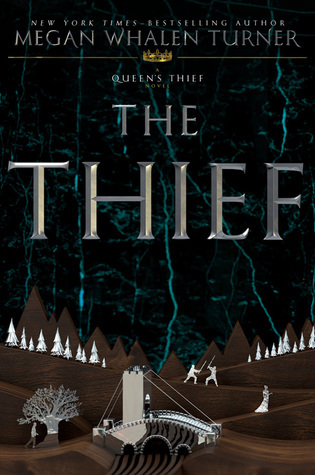 I’ve had my eye on The Thief for the longest time ever since the novel caught my attention at the bookstore, but like every other bookworm, I pushed the novel aside and read other Fantasy novels instead–which, honestly, weren’t as good as this novel. I was mesmerized by the characters (like always) and was left wanting more after the novel ended. I am still shocked by how long it took me to even pick The Thief up, but I am thankful that I did this year. For anyone who is wanting some more of the original Fantasy novels then I highly recommend this one for sure. Great review! I’ve also had my eye on this series for quite a while now, but never seem to want to pick it up to read. I’m glad it’s living up to the hype I hear about it! Hopefully one day I’ll get to these books!